I have a 16.3 hand hunter that is built uphill. His neck comes out of the shoulder a bit “high” which I like, but maybe it’s too much. When he is fresh, he carries himself really high and his frame goes a bit high. What can I do to help him carry his frame a bit lower? Is there a bit you suggest that may make a difference? Thank you very much. 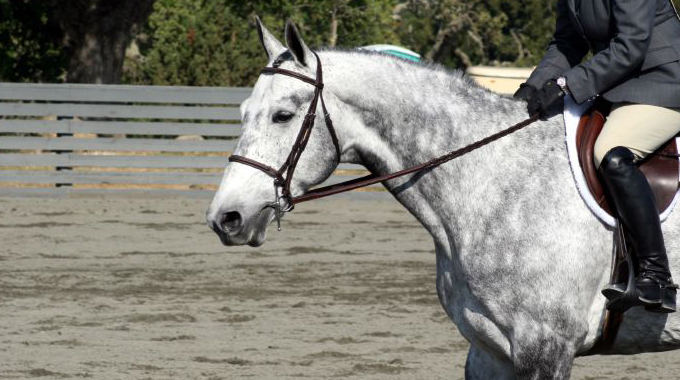 My favorite exercise for all horses, but this type in particular, is called neck stretching. In this exercise, start in the posting trot as it is the easiest gait, then move on to canter or slow gallop, and then back to walk. The idea is to first ride the horse forward enough that you have established contact in both hands. Once contact is established, closing the fingers (without losing forward or straight) and asking the horse to “accept” the contact is next. When a horse accepts the contact he does that in three places: mouth, poll, and hocks. 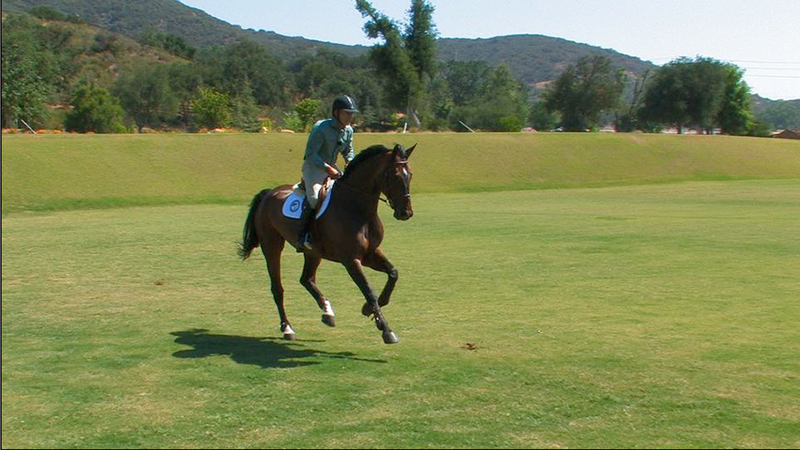 When the horse has accepted the contact, the rider’s hands should relax. When this is done properly, the horse will reach out and a little bit down with his neck in reaction to the relaxation or reward. When he starts to come back up with the neck again, it is up to the rider to catch this and correct this by closing the fingers. As he accepts this pressure the reward is to relax the hand with the horse; relaxing and stretching the neck out and down a bit more. Follow this process until the horse has actually stretched his neck out and down all the way and is holding it there without help from the rider. In order to do this, the horse also has to relax his back which, in turn, is lengthening and relaxing the horse’s entire body. This is a great exercise for the horse both physically and mentally. It will take awhile to perfect this exercise, but the effort is well worth it. Once you have a handle on it in the posting trot try it in other gaits; I suggest canter (or slow gallop), sitting trot, and finally the walk, in that order. My bit of choice is a plain snaffle as this encourages the horse to take the initial contact necessary for this exercise to work. 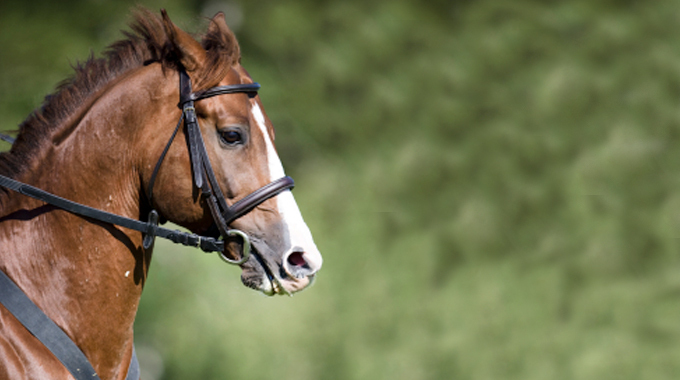 For some equestrians it is the ultimate goal – to get your horse on the bit and experience that suppleness of poll and jaw, the engagement of the hindquarters, the acceptance of the rider’s hands, that fluid link between horse and rider. 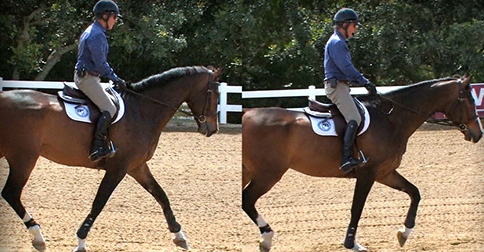 In this topic Bernie demonstrates all the different levels of contact with the horse’s mouth and different elevations of the horse’s head and neck that can be considered “on the bit.” He takes into consideration the horse’s conformation and willingness to acquiesce to the required pressure as well as the pit falls of trying to manufacture “on the bit” compliance. This helped me so much! Thank you! My large green pony always carries his head high. 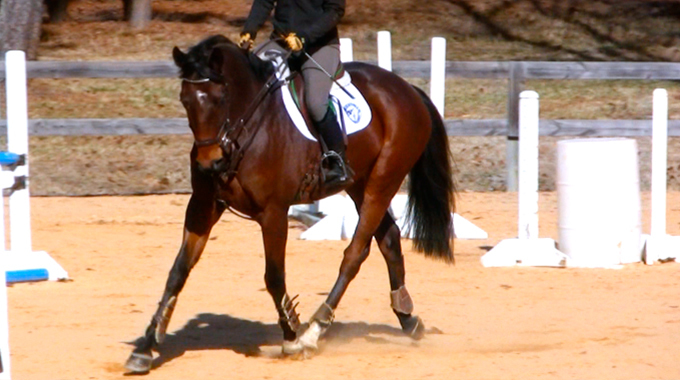 Usually, he works out of this at the walk or trot. At the canter, it goes straight back up :(. At shows, his head moves REALLY high up. Hopefully these exercises will help! That’s so great to hear! Thanks for giving us your feedback.